The -th pronic numbers is equal to and is thus twice the -th triangular number. Pronic numbers are also called oblong numbers, rectangular numbers or heteromecic numbers. The sum of the reciprocals of pronic numbers is 1. 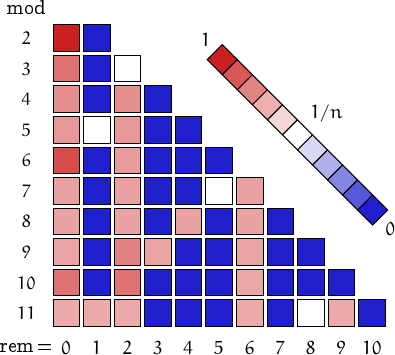 Pronic numbers cannot be squares, but they can be triangular numbers. For example, 242556 = 492×493 = 696×697/2 = T696. 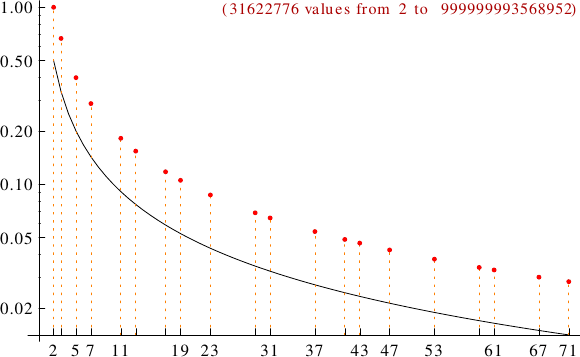 A graph displaying how many pronic numbers are multiples of the primes p from 2 to 71. In black the ideal line 1/p.